CloudBLM is a unit of SrinSoft Inc, an engineering solutions company headquartered in Ohio, USA. 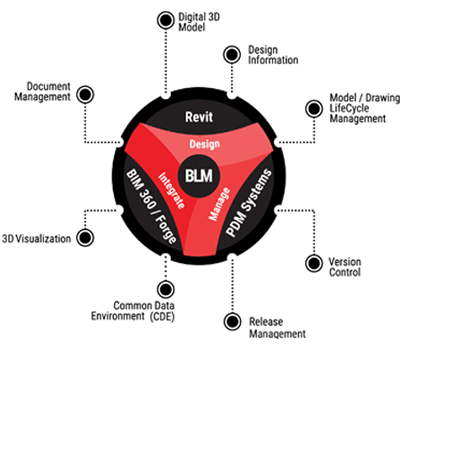 Building Lifecycle Management (BLM) is the practice of designing, constructing, and operating a facility with a single set of interoperable data. Key Benefits: Improve Productivity, Increase Quality and Value from Suppliers, Reduce Waste, Risk and Cost. Build BIM models regardless of geometric complexity with powerful surface, wireframe & solid modeling. Ensure that drawings are up to date and accurately represent your design by publishing design model views. Link specifications, engineering calculations, and equipment documentation to models and drawings to support building operations. Clear Communication of construction intent, allowing engineers to avoid the creation of amending documentation to clarify 2D drawings. The process is aimed at achieving efficiency through visualization of building components into an early design process that will dictate changes and modifications to the actual construction process. Copyrights © All Rights Reserved by SrinSoft Inc, USA.